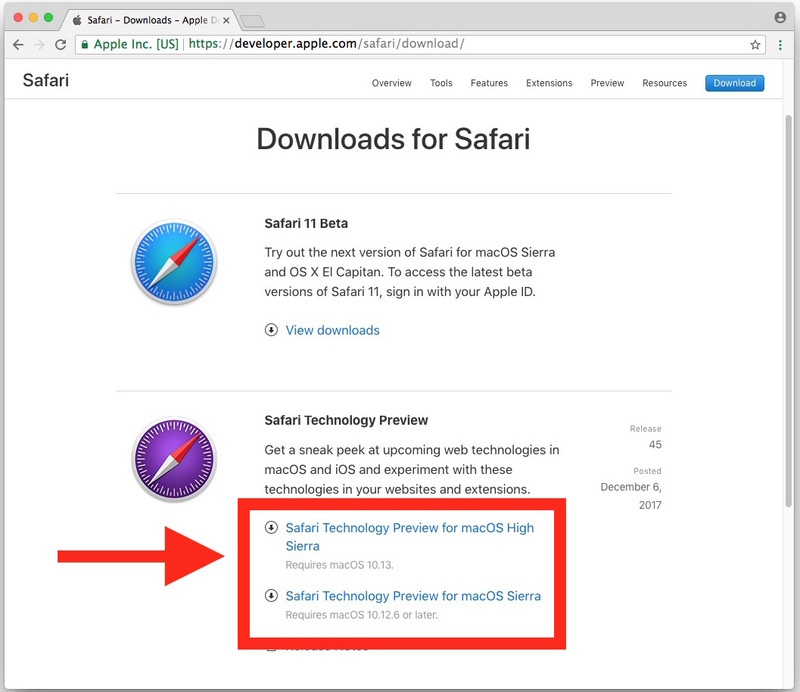 Some Mac users may be interested in downloading and using an alternative developer-focused build of Safari called Safari Technology Preview. Safari Technology Preview is aimed at more advanced Mac users who want to get an early look at upcoming features and technologies in future final Safari builds. For example, Safari Technology Preview allows disabling autoplay easily with a setting option, whereas older traditional Safari builds do not. Safari Technology Preview is not intended to replace Safari, and being a developer release it’s likely to be less stable than the regular Safari version, but Safari Tech Preview may be desirable for some Mac users and web developers to supplement and experiment with various features and technologies before they are adopted in the broader Safari release. If you’re a Chrome user, you can think of Safari Tech Preview as similar to Chrome Canary, and it’s also worth pointing out that Safari Technology Preview is different from the general Safari Beta program. Anyone can download, install, and use Safari Technology Preview, there’s no need for an Apple Developer account or login. When finished installing, you will find Safari Technology Preview within the normal /Applications/ folder on the Mac. The purple icon is the biggest visual indicator to differentiate Safari Tech Preview from normal Safari, where the latter has a blue icon. You can run Safari and Safari Technology Preview concurrently without incident, they are entirely separate applications. Updating Safari Technology Preview is easy as well, you will find available updates via the Mac App Store “Updates” section just as you would any other software update. Updates to Safari Technology Preview arrive somewhat often, and each release typically includes bug fixes, and sometimes includes support for other experimental features (many of which you won’t notice unless you’re fairly geeky or deep in the weeds). Nonetheless if you’re using the web browser, you should install updates as they come in. Safari Technology Preview is not new, it has been around for quite some time having initially been unveiled in 2016, but we have received a fair amount of questions about where to find the app and why the Safari icon is purple in some screenshots. So, now you know. Enjoy! Looks like Paul has some cleaning up to do. There are several articles being inserted since November 2nd. Thanks Paul for all the information every weekdays. Go away Miles.